I worked on the BBC’s Doctor Who website during Matt Smith’s first series. 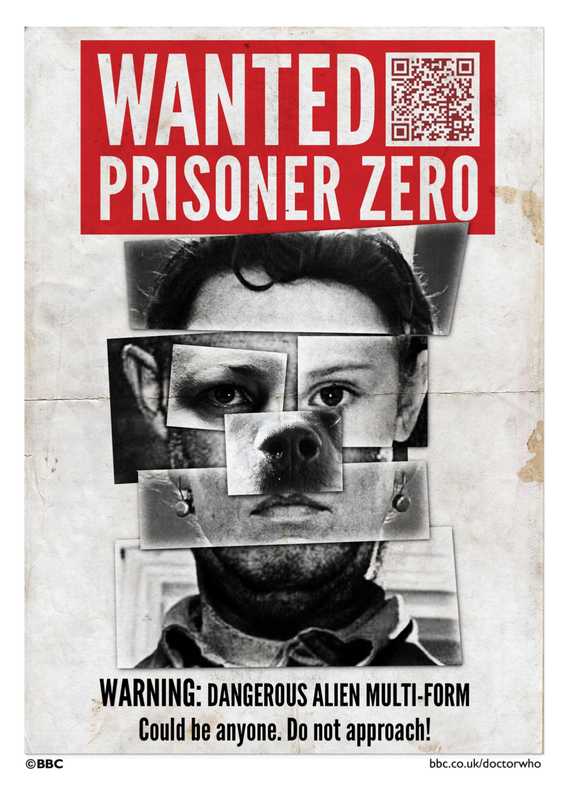 Of all the work I produced, I was most proud of this Prisoner Zero wanted poster I created as a downloadable goodie to accompany the episode The Eleventh Hour. Somewhat uniquely, it was approved exactly as I presented it. See also: Some fun Sarah Jane Adventures stuff I designed! Some fun Sarah Jane Adventures stuff I designed! 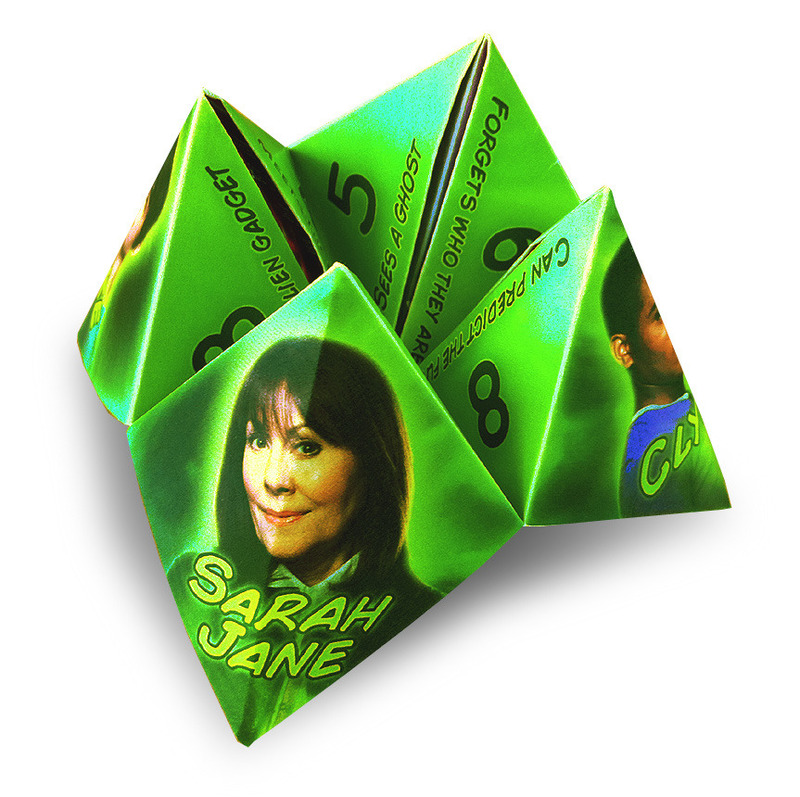 These are some of the things I made for the BBC’s Sarah Jane Adventures website. The SJA site has changed a lot since my time there, but you can still dig some of these up if you search around. 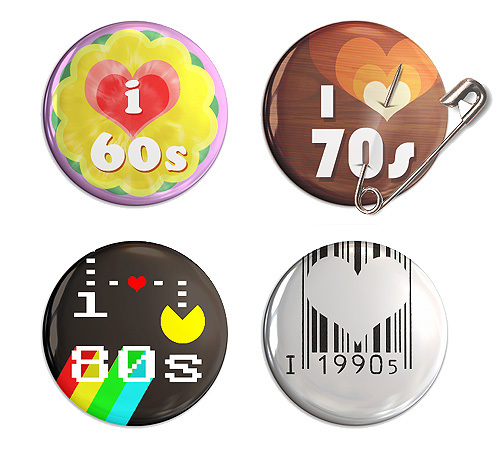 Originally created for the BBC Wales Music website, each of these pin badges has been designed to represent a particular decade of popular music. I'm least happy with the 60's one, but I'm pleased with 70's and 80's. Turns out I can't install fonts at work, so I had to make do with what was already on my system.